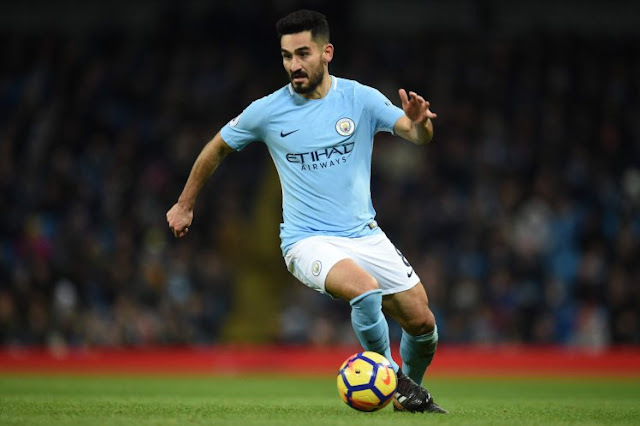 Manchester City midfielder Ilkay Gundogan, who has recently returned to his best form under Pep Guardiola, admitted that he once came very close to signing with Catalan giants Barcelona. The former Borussia Dortmund man also had words of praise for both his present and past coaches. "I was very close to signing for Barcelona, but at the end, it didn't happen," Gundogan explained to Sport Arena Plus. "But now I am where I want to be and I am very happy." Gundogan, who made the switch to the English Premier League after several years at Dortmund, had nothing but positive words for old boss Jurgen Klopp. "Klopp loved me, but I decided to go with Guardiola because his philosophy was very similar to my game," the German explained. "Klopp is like a father to me. "Guardiola, a genius, and a teacher, he's the best coach in the world." When asked to choose between Lionel Messi or Cristiano Ronaldo the midfielder hesitated but finally opted for the Argentine star. "It is difficult to make a choice, but I can say that Messi is more talented," Gundogan added.